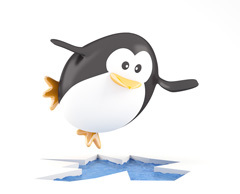 So Google's Penguin 3.0 roll out came and went (well, we are not 100% confident it is done rolling out). In any event, not everyone who was hit by previous Penguin penalties notices a recovery. Google's John Mueller responded to one such webmaster who as in that exact situation. I think sharing the disavow file (as well as its history) would make it a lot easier for folks here to notice some of the things that may be worth mentioning. For example, sometimes it shows that changes were made recently, perhaps after the most recent refresh. These kinds of changes can take time to be reprocessed (recrawling the URLs alone can take several months, and then it would require an update of the algorithm's data), and you wouldn't expect to see changes based on those submissions to be visible until the next refresh takes place. Especially because these things take so much time to be recrawled & reprocessed, I think it really helps to have as many critical eyes on those submissions as possible. Maybe you have everything covered already, or maybe there are still some issues that you didn't realize, which others could help you resolve as early as possible. The people active here in the forums are not out to get you for things done in the past, they want to give pointers based on things they've seen over the years, so while I can't guarantee that they'll be able to flag "that one thing that's holding your site back" (usually it's not just one thing anyway), they usually have a really good eye for things that are commonly forgotten (purposely or not). This is one of those very generic responses from Google that is not always that helpful but gives you some background on how these algorithms work a bit.